The name is thought to derive from a Saxon Chieftain Prenton appears as Prestune in the Domesday Book of 1086, with the name Pren- ton persisting despite the Norman-French accented spelling. Domesday describes Prenton as having a one-league square woodland ( being 9 miles square ) a vast scrub land headed mainly by forests and dense canopy's having the most densely populated and tallest trees out of all of the surrounding villages. The size and importance of the wood may reflect the name of the area "Pren" meaning "wood" in old British and the Saxon suffix tún for a settlement, which suggests a settlement in a wood which could easily have changed into Prenton following Anglian penetration of the area in the early seventh century. Note that Landican one mile from Prenton retained its Welsh / British name even through Anglian and subsequent Norse occupation. 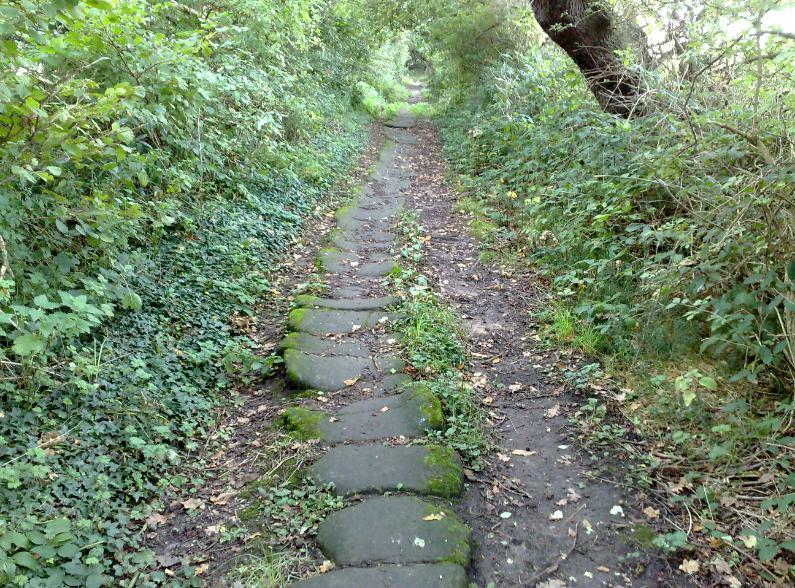 Several small waterways used to flow through the area Domesday also records the presence of a water mill and this has been provisionally identified at Prenton Dell the village having been sited at the top of a gently sloping hill which would have given vantage points across the river Mersey and over the ever increasing population of industrial Birkenhead. the Prenton Hall buggon will then be seen". The hall abandoned by its lords, subsequently fell into disrepair and is now part of a an large farm house with some of its original build still remaining situated on Prenton Dell Road at the corner of Prenton Dell Avenue the 624 acres of land having long since been sold. 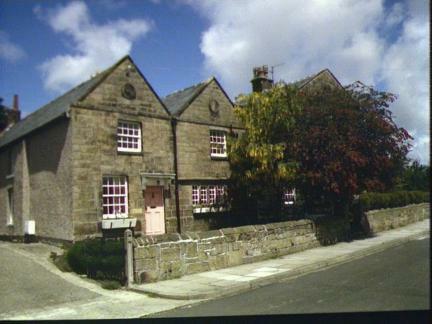 The Hall is now split into two, one hall being converted into flats, The back of the Hall is now the front because of the modern houses on 3 sides of it. William Webb visiting the Prenton area in the 17th century's noted:"One race of Haukenhuls have a fine house and demesne." The present owner there of John Oakenhall Esquire. Little else of interest will be found in Prenton the nearby Saddle Club was part of a larger farm called Lower farm, which- was tied to Prenton Hall. The Saddle Club started life as a winter shelter tucked down below a shallow ridge, then changing to a small mill. The mill was used to grind the local wheat into flour. Local tales speak of a terrible death in the building. It is said that a local farmhand was courting the Miller's daughter, but the Miller did not approve of the relationship. One day he discovered the couple making love and was so enraged he threw the lad across the mill, only to be crushed to death under the huge stone grinding wheels. His ghost is claimed to have been seen by patrons and staff of the building to this day, and the twisted tree is said to hold the spirit of the doomed young lovers. Eventually the building was converted into a full working Farm with a large selection of live stock , it stayed like this for many years till the late 50s, moving full over to a Riding stables, sadly in the 70s the farm was sold off, and broken up in to separate areas. 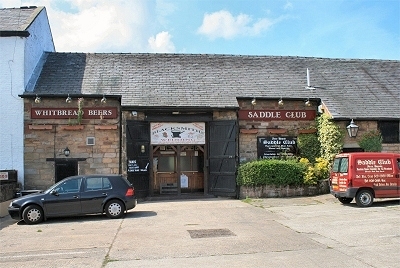 The building today is known as the Saddle Club and operates as a public house. Another old public house is sited on the junction of Woodchurch Road and Storeton Road and is called the 'Halfway House'. this dates back to at least 1879 and continues to serve ale to the village today. As time has gone by the area has changed adapting the 21st century the centre has shifted somewhat and is now Woodchurch Road around where shops and large houses have crept up, but the development of two large supermarkets in recent years has turned it into a busy and thriving shopping centre, in the previous century it was situated around the more affluent area of Waterpark Road and adjoining streets.The housing is mostly private, and ranges from terraced properties nearer Birkenhead, to large detached villas in the Mountwood conservation area much of the it is from the Edwardian era and the 1930s, though there are some late Victorian buildings and some modern property. Up to the late 19th century, Prenton was a rural township about two miles to the south-west of Birkenhead, but the tide of prosperity generated by the trade of the River Mersey eventually engulfed it. The first area to be developed was the hilltop overlooking Birkenhead. 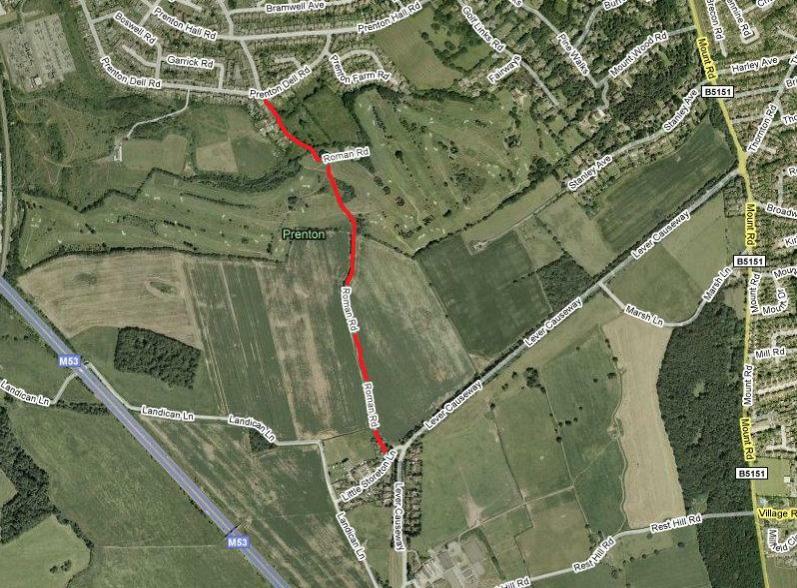 This area with its large houses in spacious gardens has since matured gracefully and remains a desirable neighbourhood. Several of the large houses have been converted to communal uses such as nursing homes. Development of the area around continued throughout the 20th century a substantial council housing estate (the Mount estate) was built nearby soon after the Second World War. Many of these homes have since been purchased by their occupants. Another bygone of Prenton's past is the old electric tram terminus site which sat at the corner of Storeton Road and Prenton Road West and from 1901 to 1934 ran a constant service shuttling passengers into Birkenhead town centre, on the border of what was the County Borough of Birkenhead at the end of the 19th century. The site at the junction of Storeton Road and Prenton Road West,is now occupied by the Prenton United Reformed Church this was the original church building but is now the church hall, and a new church was built to the left of it. 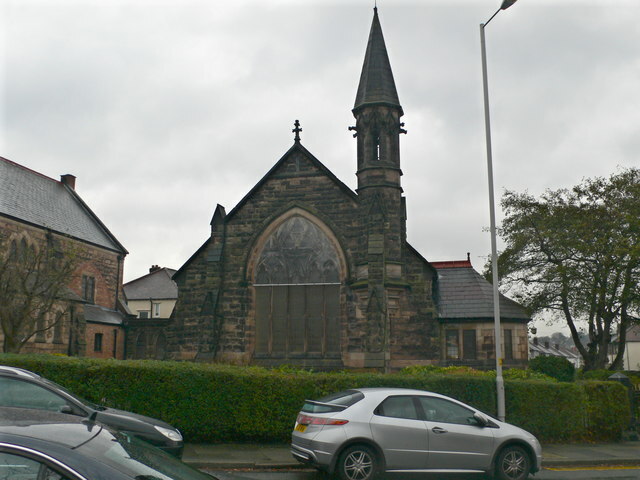 Prenton, like many URC churches, has benefited by the combination of the original Congregational members with the Presbyterian members from St. Paul’s.The Church first met for worship in 1887.In the premises of the Prenton Bowling club, a community church was established in 1887 to serve this neighbourhood. This soon became affiliated to the Congregational Church, eventually to become the Prenton United Reformed Church of today. 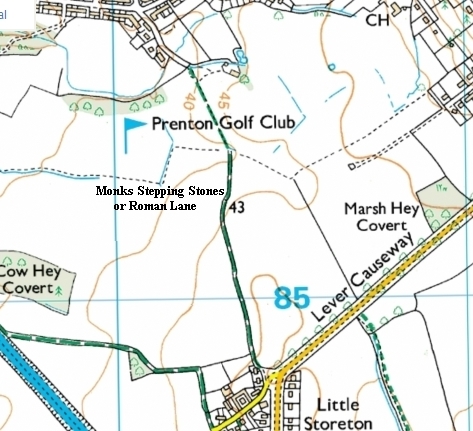 Prenton was eventually swallowed up by its county borough neighbour in 1928 hence the lack of signs even mentioning Prenton these days, but it still exists as a council Ward. 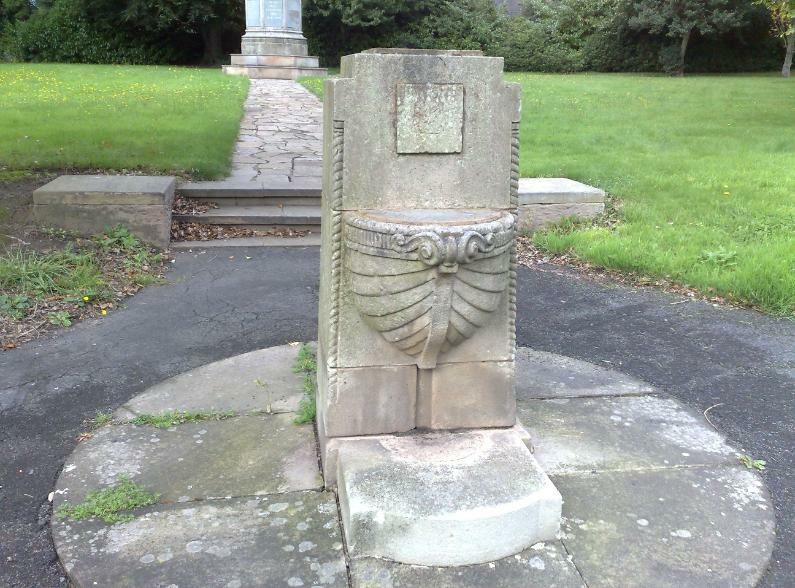 There is little reminder of anything else of age within the village except for a small Edwardian water fountain next to the war memorial on Prenton Hall Road the inscription on the back reads: “In recognition of the gallant services rendered by the Mercantile Marine during the Great War 1914 – 1919”. 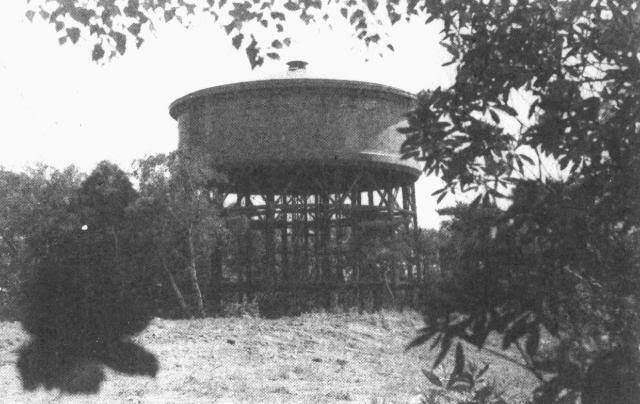 On a low hill overlooking Prenton used to stand two water towers, visible above the surrounding deciduous & fir trees. 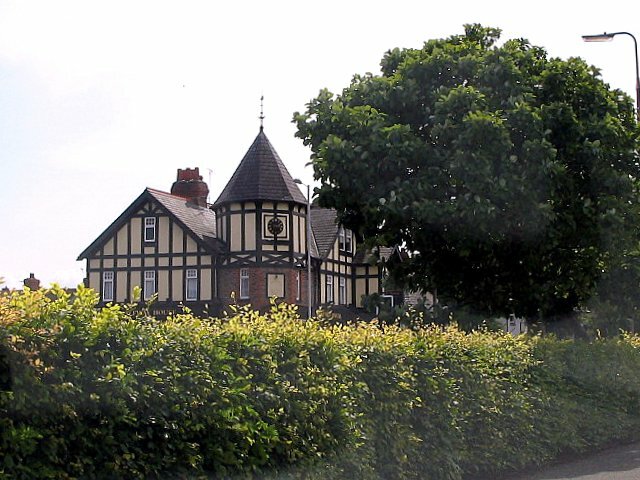 One of the towers, was a circular steel tank with a conical roof, which features on the badge of Prenton Junior School this has been dismantled. 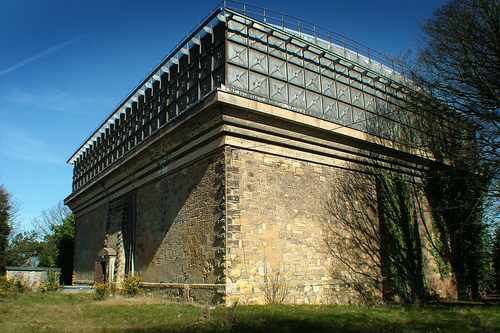 The other a rectangular tower,( the main header picture ) is used to store water to supply Prenton,Oxton, Higher Bebington and Bidston. It held over 2 million litres of water, and this was pumped to the tower from an underground reservoir on the same site, it is no longer in service. The reservoir, which holds over 7 million litres of water, is supplied from four boreholes drilled 203 metres into the red sandstone of the hill. The pumping station is driven by submersible electric pumps and is fully automatic. 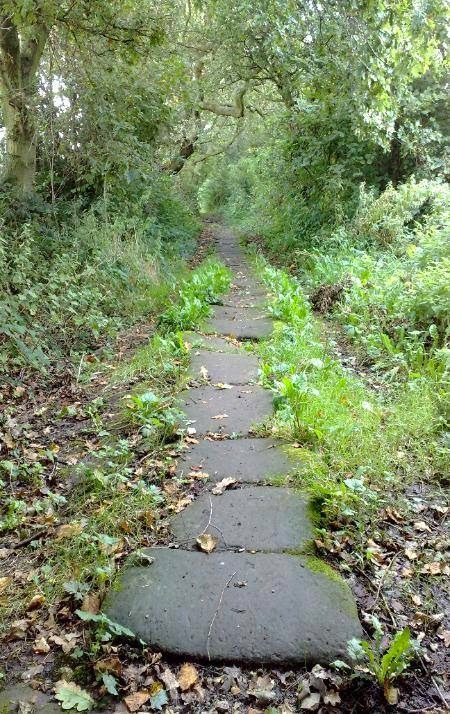 The ancient road running from Prenton to Storeton known as Roman Road or Monks Stepping Stones, and according to the locals they used to come all the way up from the Monks Ferry which is close to the Priory at Birkenhead and go up to one of their old churches, the ruins of which you will find in a farm yard further on, part of the road crosses Prenton golf club formed in 1905 it has been dismissed as the genuine article because slabs forming a packhorse track are visible along its course, but where the line of the lane and the Roman Road merge, the Roman Road surface still exists about half a meter below the slab. Prenton's main claim to fame is Prenton Park, which is the ground of Tranmere Rovers Football Club founded in 1884, was the only Wirral town with a club in the football league although they were joined by New Brighton for a few years, sadly they slipped into the National League relegated in 2015 the famous Dixie Dean played 30 games for them before moving on to Everton FC at a cost of £3000. In a match on Boxing day 1935 they scored 13 thirteen goals winning by 13-4 against Oldham Athletic Bunny Bell scoring 9 of them, this is a record aggregate game score still standing to date.